Februrary 22nd begins 502 Restaurant Week in Louisville and it is sure to be Louisville's most anticipated foodie event! The event's mission is to give diners an incredible meal for a great value at leading area restaurants - and by the looks of which restaurants are participating, this event is destined to be just that! The way it works is diners pay $50.20 per couple or $50.20 per person, depending on the restaurant, for an incredible 3-course meal at popular Louisville restaurants. 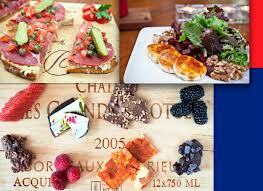 This is a great opportunity for guests to try out restaurants that they've never been to and some restaurants may even offer a cocktail or wine with your meal! Some of the restaurants participating include: Amici Cafe, Martini Italian Bistro, AP Crafters, The Oakroom, Bistro 301, Decca, and many, many more. Additionally, when you dine out during 502 Restaurant Week, you are helping Louisville's Dare to Care Food Bank serve those who are in need. A portion of the proceeds from the event will be donated to Dare to Care. To find more fun, community events in the area, please visit JoeHaydenRealtor.com. Mardi Gras is right around the corner and the Cerebral Palsy School of Louisville is hosting their 2013 Mardi Gras Gala! The Gala will be held at the Mellwood Arts and Entertainment Center and will feature music by Thumper and the Plaid Rabbits! There are two types of tickets available this year and proceeds goes towards the Mattingly Center for adults with disabilities. The first ticket option includes cocktails at 6 p.m., dinner, dancing and a complimentary bar, plus a Bourbon Street Lounge After-Party! The second option is just to the Bourbon Street Lounge After-Party and includes a complimentary bar and snacks! If you would like to find more events in the area, please visit the website of the Joe Hayden Real Estate Team. Flashdance is the new musical at The Kentucky Center and it's first showing is next Tuesday, January 15th. Based on the movie, Flashdance tells the inspiring story of Alex Owens, a working-class girl from Pittsburgh with a dream of becoming a professional dancer. By day, she works as a steel mill welder, and by night as a bar dancer, as she aspires to be accepted at a prestigious ballet academy. To add a bit of romance into the mix, Alex catches the eye of her boss who shows her the meaning of love and drives her ambition to pursue her dreams! The musical features a score including the hit songs from the movie, all of which became Top Ten hits on the radio around the world, including the Academy-Award winning title song, "Flashdance - What a Feeling"! In addition to these classic hits, 16 brand new original songs have been written for the stage by Robbie Roth and Robert Cary. To find other events in the area, please visit JoeHaydenRealtor.com. The Kentucky Humane Society is hosting an event, cleverly named the Kibble Club, that invites guests to dine for a cause! If you love dining out and spending time with other pet enthusiasts, then consider attending this great event! Each month a different restaurant will host the Kentucky Humane Society Kibble Club and will generously donate a portion of sales that day to the Humane Society. The launch of the club will take place at Wick's Pizza Parlor on Baxter Avenue on Thursday, January 17th. From 11 a.m. until midnight, a portion of total food and beverage sales will be donated to the Humane Society for those who present the Wick's/KHS flier. Participants need to be sure to print the flier and bring it with you to help raise as much money as possible! 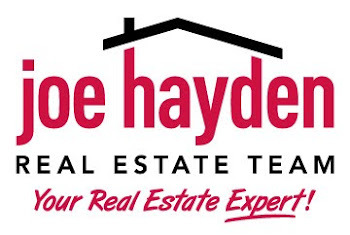 To find more events in the area, please visit the website of the Joe Hayden Real Estate Team.